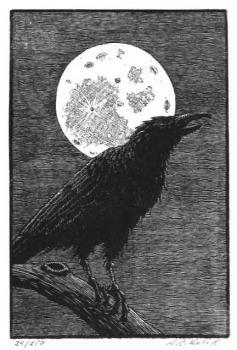 A combination of two of my favorite subjects; a crow and the moon. Print Size 4"x 6". Mat Size 9" x 12". Printed in an edition of 350.